The Top 7 Benefits of Self-Directed Play! Perhaps you’ve heard about self-directed play, also known as open-ended play. The concept is nothing new and has, in fact, existed as long as children have been playing. It is the ‘original’ style of play its benefits remain timeless. 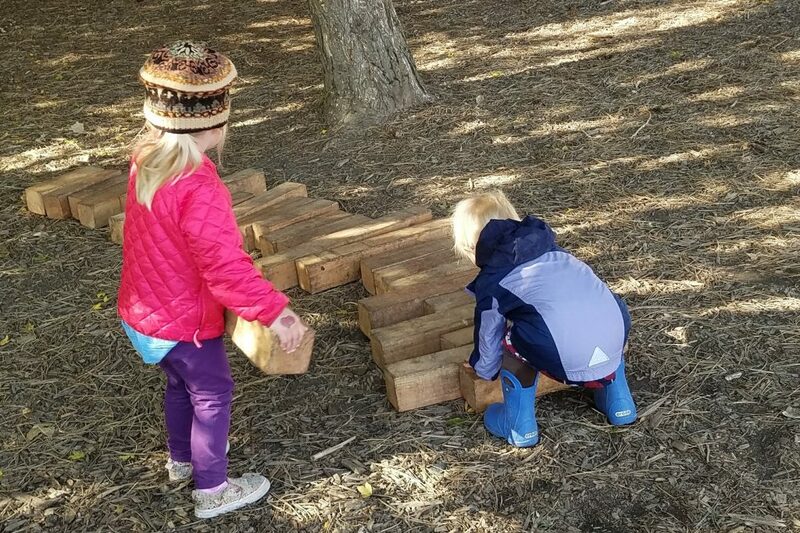 Self-directed play embraces many Montessori ideals and helps your child develop crucial skills to succeed in school and life every time that he plays. Once you understand the reasons for encouraging children to engage in self-directed play and you have a basic understanding of how it works, putting it into practice at home is simple! What, exactly, is self-directed play? If your child is using simple toys in creative ways with no adult-directed outcome, there’s a good chance they’re already engaging in self-directed play. Many of the toys available today are intended for a specific purpose. Let’s consider, for example, a doll. Sure, a child can embark on some imaginative play with it, but a doll will always be a doll. The same goes for a small toy train or a plastic dinosaur. This is not to say there is anything wrong with these toys, but the ways in which children can use them are limited by their nature. Now let’s consider a cardboard tube. The possibilities are endless! The tube could be a telescope one minute and a megaphone the next. It could be a log, a bridge, or something to guide a ball through. Materials we offer children for self-directed play are simple. Think balls, cardboard tubes, sticks, scarves, playdough…the list goes on. When children embark on self-directed play, it’s important for adults to remember that the children are the ones calling the shots (within safe boundaries, of course!). It’s our natural tendency to have pre-determined ideas of what the outcome of a certain activity should be. We often, instinctively, feel the need to jump in and teach children the “right way” to do things. Give yourself permission to step back. When we observe the the way in which children discover their own outcomes, it can be magical to see the process from a new viewpoint. How does self-directed play embrace Montessori ideals and benefit children? It builds self confidence. By exploring on their own, children realize there is so much they can do for themselves. They make their own games with their own rules, and they feel successful. It encourages independence. Isn’t our ultimate goal for children that they might be able to get along just fine without us? 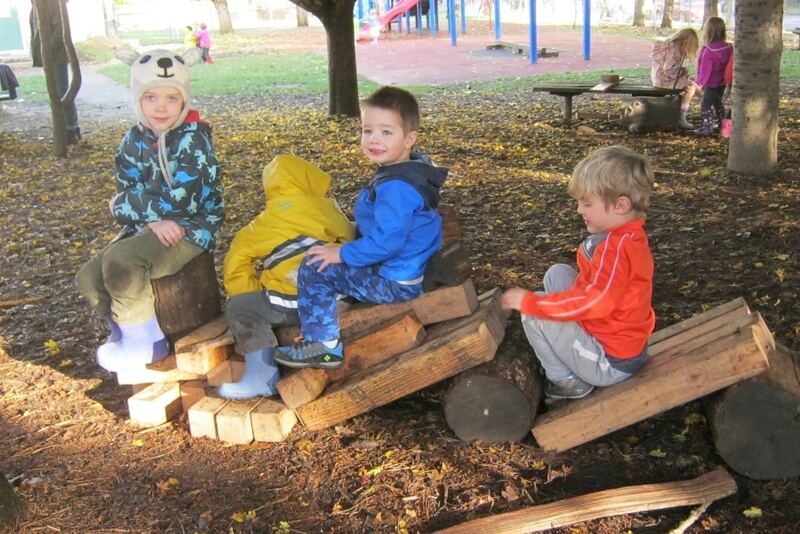 Self-directed play lets them experience independence from a young age, all while in a safe, prepared environment. It stimulates imagination. 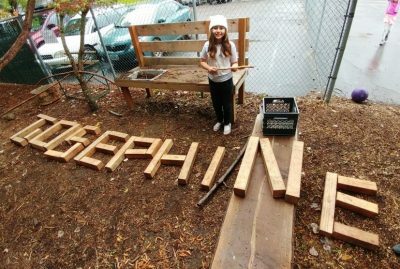 Children can’t help but be creative during self-directed play. By giving them these opportunities, we are allowing them to flex their creative muscles; they will see possibilities no one else has imagined, and they will develop their own story lines as they play. It teaches problem-solving. Coming up with one’s own rules naturally leads to problem solving. Children will have to figure out how to make something work the way they want it to. It allows children to learn at their own pace. With self-directed play, there is no timeline and there are no benchmarks to meet. Kids have the opportunity to build on their own knowledge, day after day, in ways that make sense to them. It cultivates internal motivation. Without adults defining the success of an activity, children will be compelled to find the innate joy in their play. They will naturally tend to challenge themselves to try new, innovating ideas, and they will find their own personal delight in doing so. It develops social and communication skills. Children who engage in self-directed play with peers must interact with each other and in doing so learn a vast array of social negotiation skills like fairness, turn-taking, co-operation, understanding social rules, seeing and incorporating other points of views, a sense of ‘give and take’, patience, perseverance, and a sense of belonging. Materials/Toys should be simple. As an added benefit, simple toys tend to be much easier to obtain and far less expensive (and often free!). If possible, toys should be made of natural materials. Think wood, fabric, and items found in nature; avoid plastic if possible. As mentioned above, collect toys that can be used for any number of possibilities. Things like balls, scarves, blocks, boxes, sticks, or clay are great. Some people like to collect trays of loose parts to leave out for children. Loose parts trays might include pebbles, seashells, buttons, bits of string, pieces of tree bark…whatever looks (and feels) interesting! Prepare the Environment Make sure children have a safe, open space in which to play. Depending on your home and the weather, this could be your living room, backyard, or whatever space works for your family. It’s important to make sure children have flexibility in their movement though, so make sure they can sit, stand, jump, roll, and explore! Sit Back and Enjoy! Another great benefit to self-directed play is that because children can engage on their own, you are free to spend time checking off your own to-do list. But feel free to sit nearby or even alongside your child if you wish. Just remember to let them take the lead and explore their world and imagination. The very best way to learn about Sunstone Montessori is to see it in action. We encourage you to visit our beautiful and spacious campus, take a tour, observe briefly in classrooms, learn about Montessori education, our programs, who we are, and what we do. Time is set aside at the end for questions and answers. We look forward to sharing Sunstone with you! icon Created with Sketch. facebook Created with Sketch. youtube Created with Sketch. Created with Sketch.